Indian Cookery. Title : Indian Cookery. Authors : Anon. Binding : Hardcover. Product Category : Books. Condition : Very Good. First Edition : False. Publication Date : 1992-01-01. Chefs Special Curries & Rice. Title : Chefs Special Curries & Rice. Authors : Master Chefs of India. Product Category : Books. Binding : Paperback. Condition : Very Good. First Edition : False. Publication Date : 2001-01-01. By A Thirty-Five Years' Resident. Book Type:Hardback. Condition:Corners and edges rubbed, covers marked slightly, pieces of spine missing, neat tissue repair to the spine, text block nice, good condition.
. Hardback in good condition, has been read with general wear and tear, it is still a very good reading or reference copy. We are a UK based seller, all of our items are in stock and ready for quick and reliable despatch. Authors: Keith Floyd. Floyd's India. Title: Floyd's India. Binding: Hardcover. Condition: Used; Good. Weight: 840 Gms. Author(s): Jaffrey, Madhur. Flavours of IndiaTitle: Flavours of India. Binding: Hardcover. Condition: Used - Acceptable. 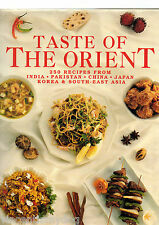 TITLE: Best of India : Great Recipes of The World. Weight Under: 1.0Kg. VERY GOOD - Very Good condition with no significant faults. Clearly used but very few minor defects. GOOD - Usual signs of a well read book but good overall condition. Authors : Singh, Vivek. Title : Curry: Fragrant Dishes from India, Thailand, Malaysia and Indonesia. Classification Notes : Dispatched daily from the UK. Helpful Links. Signed : False. Best of India. Title : Best of India. Product Category : Books. Binding : Paperback. Condition : Very Good. First Edition : False. Signed : False. Publication Date : 1999-01-01. Author(s): Vivek Singh. Title: Curry: Fragrant Dishes from India, Thailand, Malaysia and Indonesia. ISBN: 9781405315722. Indian Cookery. Title : Indian Cookery. Authors : Anon. Binding : Hardcover. Product Category : Books. Condition : Very Good. Signed : False. Title: The Food of India (Periplus World Cookbooks). Author(s): Periplus Editions. Publisher: Periplus Editions/Berkeley Books. Binding: Paperback. Title: Indian Cookery. Author(s): Anon. Condition: Acceptable. Binding: Hardcover. Hardback book in very good condition, has been read with only a little wear and tear, it is still an excellent reading or reference copy. Winner of the PETA award for Vegan Cookbook of the Year. Recipes includes classic dishes that we might be already familiar with, such as Simple Sri Lankan Dal or Cauliflower and Kale Pakora, as well as regional specialities such as Oothapam (vegetable crumpets from South India) or Tahu Campur (Javanese fried tofu with cassava cakes). Author(s): Aziz, Khalid. Title: Step by Step Guide to Indian Cooking. Condition: Acceptable. Binding: Hardcover. Publication Date: 1974-11-08. Tandoori Cuisine. Title : Tandoori Cuisine. Authors : Master Chefs of India. Product Category : Books. Binding : Paperback. Condition : Very Good. Signed : False. Publication Date : 2004-01-01. It explains how to add taste, aroma and colour to create that perfect curry. 50 Great Curries of India. Discover the incredible health benefits of going vegan with Vegan Cookbook for Beginners. Eating a vegan diet that is free of animal products requires creativity. Vegan Cookbook for Beginners: The Essential Vegan Cookbook To Get Started. (2)Hummus Bros. Levantine Kitchen. 1)Death by Burrito. 3)Made in India. Genre:-Food & Drink, Vegetarian cookery, Food & Drink. Dal is to India what pasta is to Italy. The Dal Cookbook. Chefs Special Curries & Rice. Title : Chefs Special Curries & Rice. Authors : Master Chefs of India. Product Category : Books. Binding : Paperback. Condition : Very Good. Check out our EXPLOSIVE deals for yourself. Indian Cookery. Title : Indian Cookery. Authors : Anon. Binding : Hardcover. Product Category : Books. Condition : Very Good. Check out our EXPLOSIVE deals for yourself. The Food of India (Periplus World Cookbooks). Publisher:Periplus Editions/Berkeley Books Pte Ltd. Author:Hutton, Wendy. We appreciate the impact a good book can have. We all like the idea of saving a bit of cash, so when we found out how many good quality used books are out there - we just had to let you know! These vegetable-based recipes are proper feel good food, and full of flavour. Unlike the stuff you get at your local curry house, her food is fresh, vibrant and surprisingly quick and easy to make. Books Collection. Lose Weight For Good: The Diet Bible: 101 Lasting Weight Loss Ideas For Success. He suggests special combinations to heal and balance both body and mind and includes 200 vegetarian recipes. Sirocco: Fabulous Flavours from the East. From the golden girl of Middle Eastern cookery, Sirocco will bring tastes of the East to Western-style dishes in a collection of 100 delicious and accessible recipes. 'If you think vegetarian food is limiting, this is the book to change your mind.'. Titles In This Set. Health & Fitness. Indian a collection of over 100 essential recipes. Title : Indian a collection of over 100 essential recipes. Publisher : Index Books Ltd. Binding : Hardcover. Product Category : Books. First Edition : False. India (World Food). Title : India (World Food). Binding : Hardcover. Product Category : Books. Publisher : Parragon Plus. Check out our EXPLOSIVE deals for yourself. First Edition : False. Condition : Very Good. Title: India (World Food). Condition: Acceptable. Binding: Hardcover. (2) The Slow Cooker Spice Guy Curry Diet. 1) The Curry Guy Easy. Authors : Koshy, Ninan. Title: Under the Empire: India's New Foreign Policy. Title : Under the Empire: India's New Foreign Policy. Binding : Hardcover. Product Category : Books. Condition : Good. First Edition : False. An Indian Housewife's Recipe Book. Thai Cookery Secrets. Laxmi Khurana is an Indian housewife living in the UK. Her recipes have been handed down to her through the generations, and admired by her family and friends. Rick Stein: From Venice to Istanbul. Rick Stein's India. With Garam Masala. Discover which ingredients make each dish special, and follow step-by-step techniques that make every recipe clear. Curry: Fragrant Dishes from India, Thailand, Malaysia and Indonesia. The Skinny Slow Cooker Curry Recipe Book. Unlike the stuff you get at your local curry house, her food is fresh, vibrant and surprisingly quick and easy to make. Hot, mild, fragrant, sweet or nutty, the choices are endless. Learn how to create truly authentic Indian dishes in half an hour or less. Over 90 simple recipes to take the heat out of cooking. Choose from a selection of fragrant dishes, including Goan Prawn Curry, Tandoori Chicken and Stuffed Spiced Okra. Cooking the. Indian Way. Each book in the Cooking Around the World series includes Indian Way serves up tantalizing recipes for fresh coriander chutney, pumpkin curry, garam masala and much more. Series designed for a young, inexperienced cook. TITLE: India (World Food). BINDING: Paperback. PUBLISHER: Parragon Plus. Acceptable - Very well read. Reading copy only. May have significant wear and tear and contain notes & highlighting. Good - Usual signs of a well read book but good overall condition. Made in India: Cooked in Britain: Recipes from an Indian Family Kitchen. 'This book is full of real charm, personality, love and garlic. The recipes included vary from light snacks, such as the Bombay nuts, Spiced chicken wings and Stuffed paneer bites, to bigger bites like Chilli beef with black pepper, Vegetable biryani, or the classic Chicken tikka masala. Authors: Bhatia, Kaushi. Favourite Dishes of India. Title: Favourite Dishes of India. Publisher: BPI (India) PVT Ltd. Details: 2002-07-01. BPI (India) PVT Ltd. Binding: Paperback. AUTHOR: Debatri Banerjee. TITLE: The British Indian: Delicious Recipes from Calcutta. PUBLICATION DATE: 2008. CONDITION: Good. Acceptable - Very well read. Reading copy only. May have significant wear and tear and contain notes & highlighting.